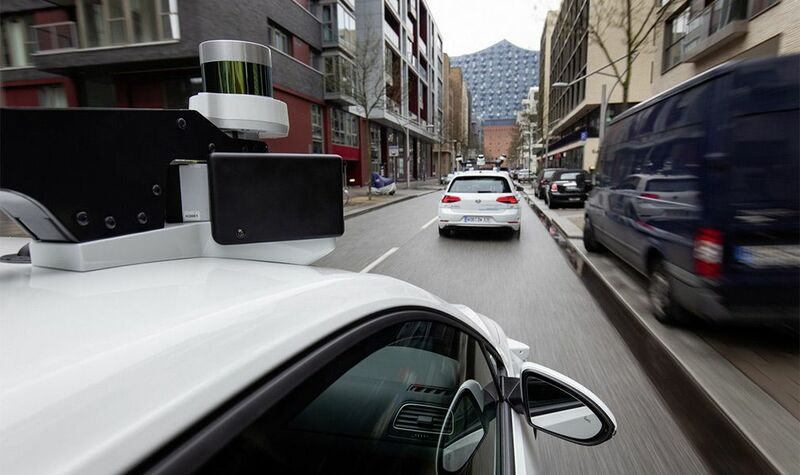 It turns out that cars will be able to drive absolutely independently, however, the driver can drive vehicles himself at any time. Tests of unmanned cars, which are made on the e-Golf electric basis, began in Hamburg, Germany, on a stretch of road 3 km long. The roadbed is considering to be part of a large-scale 10-kilometer highway, where tests will be held in 2020. The machines have a complex set of equipment, 14 video cameras, 11 laser sensors, 7 different radars. At the expense of devices, the AI ​​receives and processes a maximum of 5 GB data.